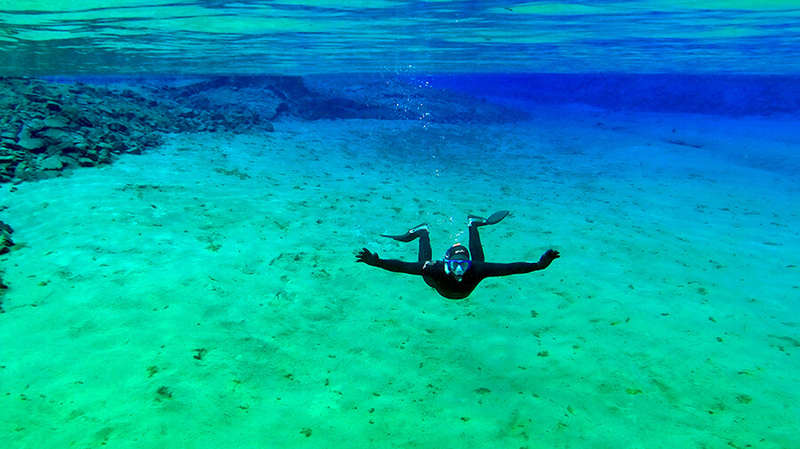 Enjoy snorkeling in Iceland in wetsuit at one of the top dive sites in the world; Silfra. Adventure Vikings is the only tour company in Iceland offering snorkeling in wetsuit, and although it is a bit colder than drysuit and you will not regret this as you will be able to dive below the surface and see the underwater wonders. Snorkeling in Drysuit in Iceland; Silfra is lovely. Silfra is one of the top dive sites in the world and situated in the UNESCO World Heritage Site, Thingvellir, only about 50 km from Reykjavik. Silfra is a freshwater fissure about 63 meters deep where you can see for up to 100 meters in front of you – the water is really that clear. The glacial water in Silfra is so pristine it feels like flying. Note that you can also snorkel in a wetsuit, where you are able to dive under the surface of Silfra for the ultimate snorkeling experience. 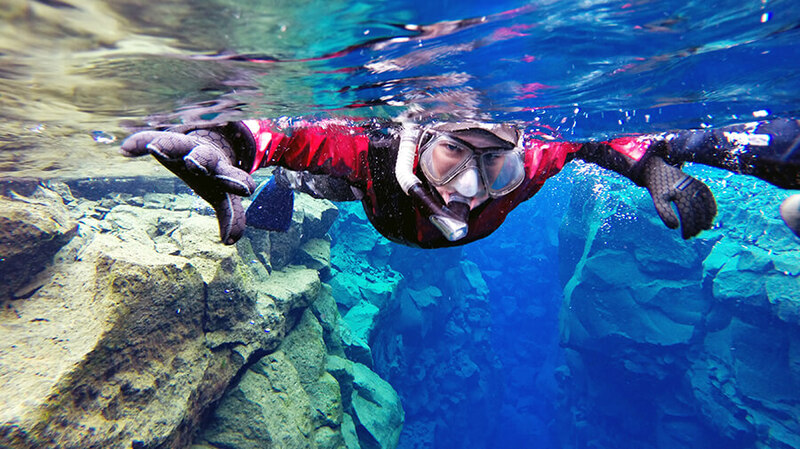 Snorkeling and caving in Iceland is a perfect combination of two adventure activities. You will explore the hidden world of the lava fields in Iceland. 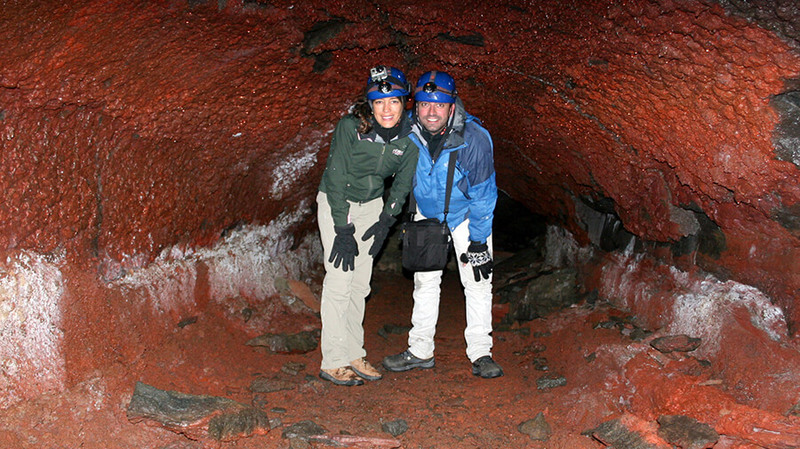 You will see magnificent lava formations such as stalactites and drip stalagmites and have an underground adventure. You will then snorkel under the UNESCO World Heritage site Þingvellir national park in the freshwater fissure Silfra, one of the best diving sites in the world. Adventure Vikings is the only company in Iceland offering wetsuit diving. Snorkeling and the Golden Circle is a nice activity? 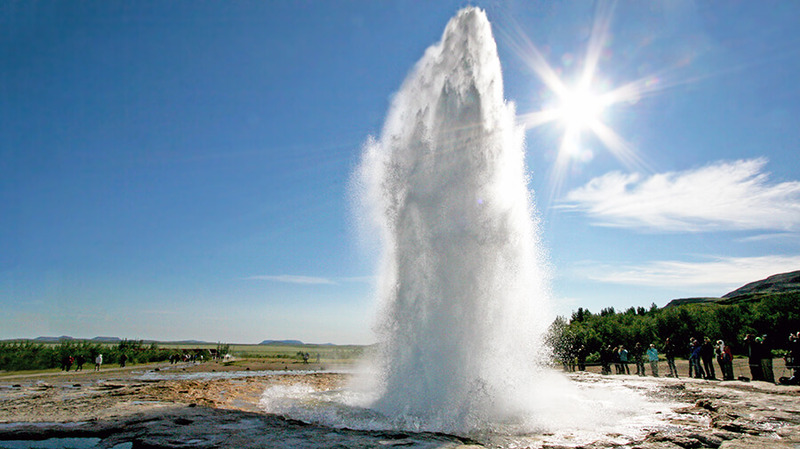 How about starting the day with snorkeling Silfra, a freshwater fissure and then drive around beautiful Iceland? We recommend the combination of Snorkeling and Golden circle. 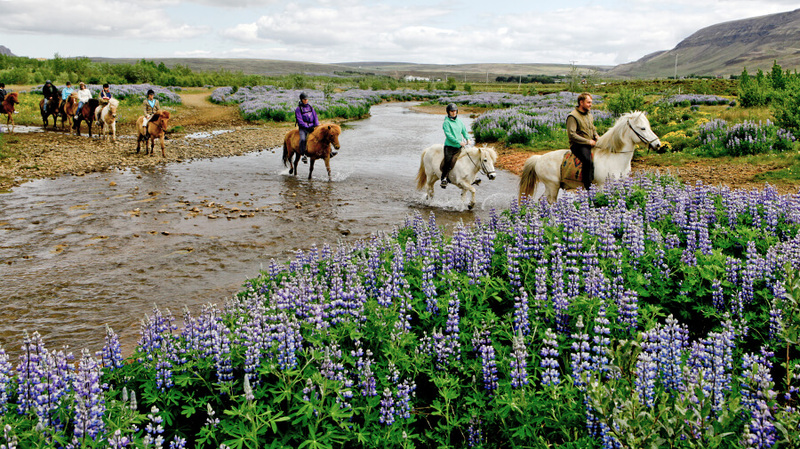 You will have an adventure snorkeling and enjoy the scenarios of Þingvellir, UNESCO World Heritage Site, Geysir hot spring and the waterfall Gullfoss.